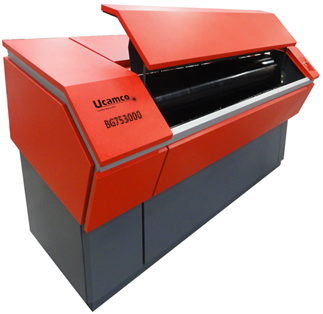 The BG Large Format Plotter is an external drum laser photoplotter. It has an automatic film loader and on-line connection to the film processor. The film handling system is very simple, to maximize accuracy and reliability.The BG produces high quality photo tools for high density PCB, BGA, lead frame, stencil, Flat Panel Displays and Chemical Milling.